In this episode we focus on engineering education at the elementary school level, and how robotics can play a key role in shaping the engineers of the future. We first speak with Chris Rogers, professor at Tufts University and developer of ROBOLAB, a framework for using LEGO Mindstorms sets to teach robotics in the classroom. We then speak with Liz Herron, the manager of the LEGO Education Center in Texas about her hands-on experience with kids and robots. 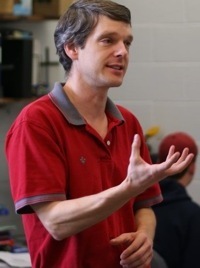 Chris Rogers is a professor of mechanical engineering at Tufts University in Massachusetts in the US. His research interests are broad, and he’s been seen studying fluid dynamics, the flight of insects and tele-robotics, but it’s his commitment to the engineering education of children that brought him on our show today. 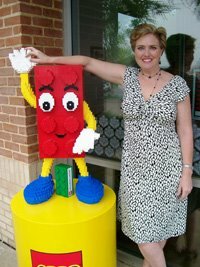 Liz Herron manages the first, and only, LEGO Education Center in the United States which serves the needs of children ages 3 – 12. The center focuses on math, science, and technology skills and offers several levels of robotics courses for children over the age of seven. With LEGO Mindstorms, they create nano-like robots to explore the human body, robot police dogs to help the community or robotic families. With imagination as a drive, the kids are actually learning about team work and engineering. Herron has been in education for many years, teaching or supporting all elementary grades from pre-school through grade 6. Nominated for teacher of the year several times, her peers quickly honored her creative, innovative and passionate approach to education. Strong of this background, she’ll be telling us about her hands-on experience with the kids at the LEGO Education Center and the amazing solutions which they can whip-up. For more information and discussion on this week’s news, including videos of the first robot super model “walking” the catwalk, research on the biomimetic robotic octopus arm as well as the new type of artificial muscle visit the Robots Forum.